We'll continue the celebration directly after the ceremony. Welcome to Vermont! We're happy you made it and look forward to celebrating our wedding weekend with you. It is not the easiest place to get to, but it is a special place for us and we hope you are able to enjoy its bounty now that you are here. Below please find the outline for the weekend, as well as some suggested local activities. Friday July 27th – Welcome! If you have decided to spend the whole weekend here, we hope that you will join us at The Matterhorn (4969 Mountain Road, Stowe, VT) for pre-wedding drinks and The Eames Brothers Band. We have taken care of the cover charge, but please remember to bring the tickets supplied with the wedding invite. In case you forgot, we are including a few extra tickets in your welcome bag! If you find yourself out front without a ticket, text Amanda at 201-655-1600, and someone will come out with one. If this is your first time to Stowe, The Matterhorn is a renowned après-ski venue “as classic a party spot as Stowe Mountain itself”. If you are looking for a bite when you get into town, there is also a full-service restaurant serving sushi, pizza, salads, burgers, steaks, etc. The wedding party will arrive around 8 pm. Saturday July 28th - Wedding Day! The wedding will begin at 3:30 pm at a private residence in Stowe Hollow (94 Tabor Hill Road, Stowe, VT). There is no parking at the site, but we will be providing transportation from Stowe Elementary School to the Manor, as we like to call it. Feel free to drop off your co-riders at the Manor before parking. If you are staying at the The Green Mountain Inn the van will pick up there as well. The school is located in downtown Stowe on Park Street. If you are staying on the Mountain Road (including The Stowe Inn and Green Mountain Inn) or coming from I-89,proceed down Main Street downtown and take a right on Depot Street (first right after Green Mountain Inn), a left on Pond Street, a right on Park Street and end at Stowe Elementary. If you are coming from further east on Route 100/Maple Street (including Brass Lantern Inn) take a left on Park Street (second left after the Stowe Community Church) and end at Stowe Elementary. There is parking at the school, but it is a short walk from the downtown hotels if preferred. Beginning at 9:30 pm, there will be transportation from the Manor back to Stowe Elementary or to your requested hotel. The band will finish playing at 10 pm, but transportation will continue until 1:00 am if you would like to hang around for the after-party. Sunday July 29th – See You Soon! 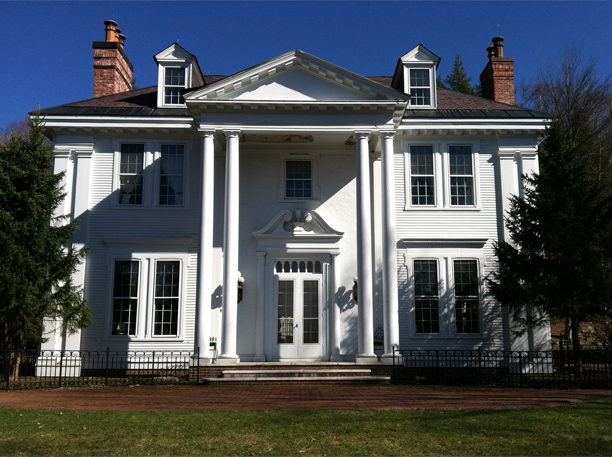 We will be sad to see everyone go, but happy to say goodbye over brunch at the Manor (94 Tabor Hill Road, Stowe, VT). Please come by anytime after 10 am for bagels, home-baked sticky buns, fruit, etc. Parking will be available with the vendors gone, but please carpool when possible and park on the street if necessary.